Alexandra LaDuca is an agent with the FBI. 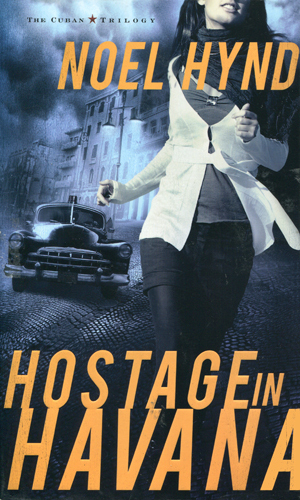 She is an agent who is attached to the U.S. Treasury department through the length of this three-book series. Her expertise in international financial crime, coupled with native skills at numerous languages, makes her perfect for investigating crimes that cross borders. The fact that she is incredibly intelligent and inciteful does not hurt, either. Adding in a considerable beauty and remarkable skills with a firearm makes her an operative who is able to handle her own in most situations. The child of a Mexican beauty and a second-generation Italian, she grew up in a bi-lingual environment coupled with both a Protestant and Roman Catholic upbringing. A summer in Europe during her teen years gave her a chance to trace her father's roots in Sicily as well as improve her French. Two years in Berkeley and two more at UCLA, years in which her love of learning were equaled by her love of sports saw the young and shy wallflower transform into a brown-haired beauty. Upon graduation, she took a job working at Wells Fargo and was there for a year and a half before she admitted to herself that she was bored with the job and needed something more interesting and more challenging. When she made an application to the FBI, they took one look at her abilities and immediately accepted her. At the Academy, she added to her athleticism by learning how to handle herself in unarmed combat and becoming an excellent shot. As the series begins, LaDuca is happy with her job, though still recovering from a harrowing mission to Nigeria where she learned too closely what it was like to have bullets aimed at her. She is engaged to a Secret Service agent working the protection team for the President. She is also about to start a series of adventures that will test her abilities to survive. LaDuca is on loan from the Secret Service to the FBI to go with the team protecting the President on a trip to Russia. 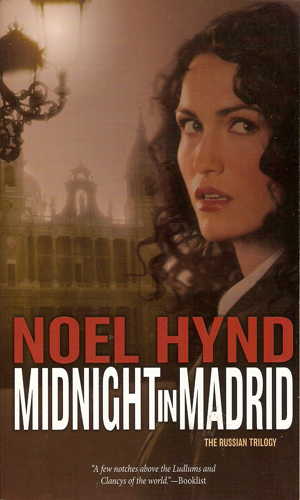 Her assignment is to monitor the activities of Federov, a major crime figure who is as dashing as he is dangerous. Both LaDuca and a Chinese investigator are on the trail of a small sculpture and dates from the Renaissance but the Chinese agent is killed and LaDuca learns the hard way that there are several others out for the same property. 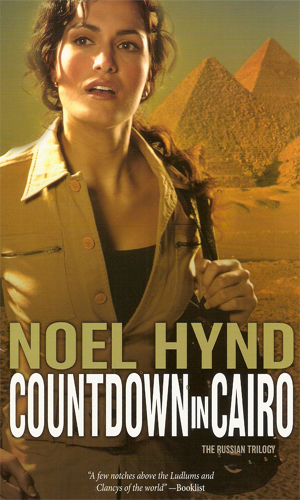 Heading to Egypt when the sighting of an old mentor, thought to be dead, is announced. Matters that started in Moscow and moved to Madrid quickly come to a head in the heated streets of the North African capital. LaDuca agrees to help a Cuban exile in a mission that takes her illegally onto that island and deep into the territory of Cuban police, anti-Castro forces, and some Americans who do not want her job completely and do not care if she dies as a result. 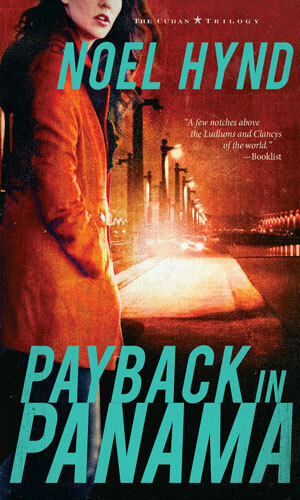 As she is sent to Miami to learn more about the drugs-money-murder connection of the Dosi cartel, Alexandra LaDuca must deal with a variety of people wanting her dead in addition to wondering what her life is leading to. From Miami and north to as south as Panama, the cartel she is combatting has a tremendous reach. 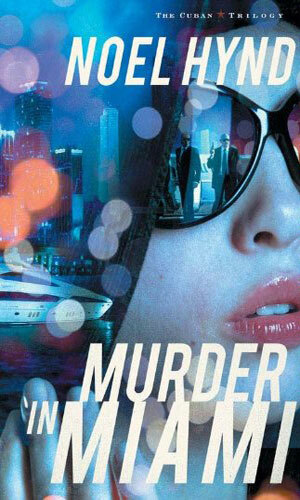 Alexandra LaDuca must use off of her skills and intelligence, as well as that of some old friends, to survive. The LaDuca series is a well-crafted suspense series masterfully penned by a writer who has been writing superb adventures for many years. Now he takes a turn at a character that falls into the criteria for this collection and I am happier for it. I really liked LaDuca. She has a sense of humor that helps her survive the often humorless people she has to deal with. Whether it is violence-prone gangsters who want to bed or kill her, or self-important bureaucrats who want to get her fired or in bed, she has to use her brains to keep any of those things from happening. 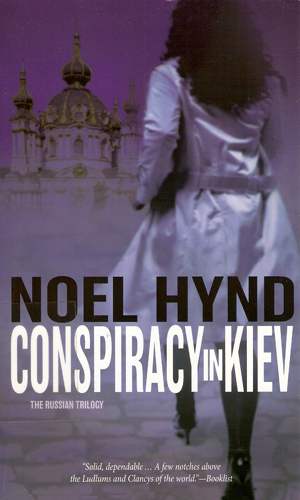 The series was published from the beginning as The Russian Trilogy, letting the reader know that it was intended to be just three books. Perhaps some day Mr. Hynd will change his mind and give us more.